Natural Calamity – Summit Helicopters Pvt. 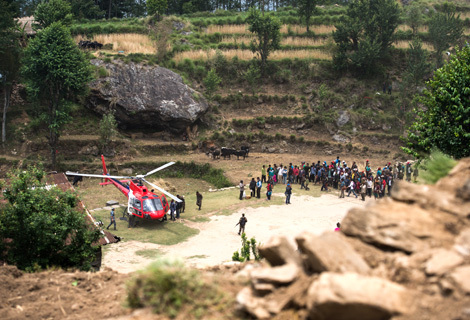 Ltd.
Fishtail Air is partnering with international NGO Mission Aviation Fellowship (MAF), to operate an urgently needed helicopter response facility to enable humanitarian and relief workers to reach those most isolated communities in Nepal to bring hope and healing following the earthquake. MAF operates the world’s largest fleet of aircraft for humanitarian and development operations and has considerable experience in disaster relief work including flight scheduling, logistics and management of disaster air transport operations. 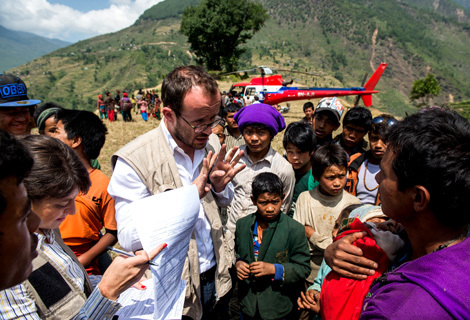 Working together with our helicopters and their disaster expertise, we are in ideal position to get the right people to the right places at the right time to help the people of Nepal recover from this devastating natural disaster. 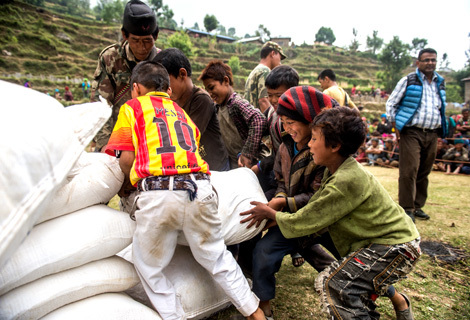 The service we are offering is aimed at enabling the humanitarian aid community to access affected vulnerable populations in hard-to-reach areas currently not accessible by road or the larger helicopters. The service is primarily for passengers and limited cargo and is available on whole aircraft charter or a shuttle basis (pay for seat) and rates will depend on a number of factors although significant subsidies will be available to all humanitarian agencies. MAF Registration and Booking Office, Fishtail Air, opposite KTM Cargo Terminal entrance, Kathmandu.